If Alex James can waffle for an hour or two about the A-Z of Classical Music each week, I should be able to find some food to waffle about for a Blog entry or 26 or 52 or 104. Oooh what is that, pungent smell. Ah, that’s right. It’s May, Asparagus Season. It’s a well-known theory that not everyone has the genes that produce the foul smelly weeeeeeeee. It has been proved recently that everyone has these genes but only a measly 22% of people have the genes to smell it… Lucky them! 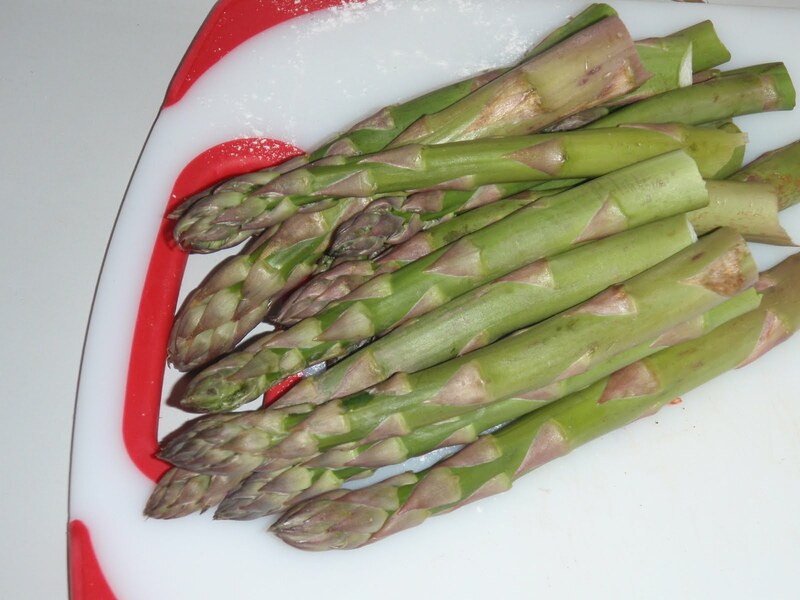 Asparagus Officinalis – it’s full name. They are native to Europe, Africa and Asia. In other words, these curious green vegetables ain’t that picky as to their breeding ground. We had some growing in our garden a couple years ago. But that’s not that exciting. 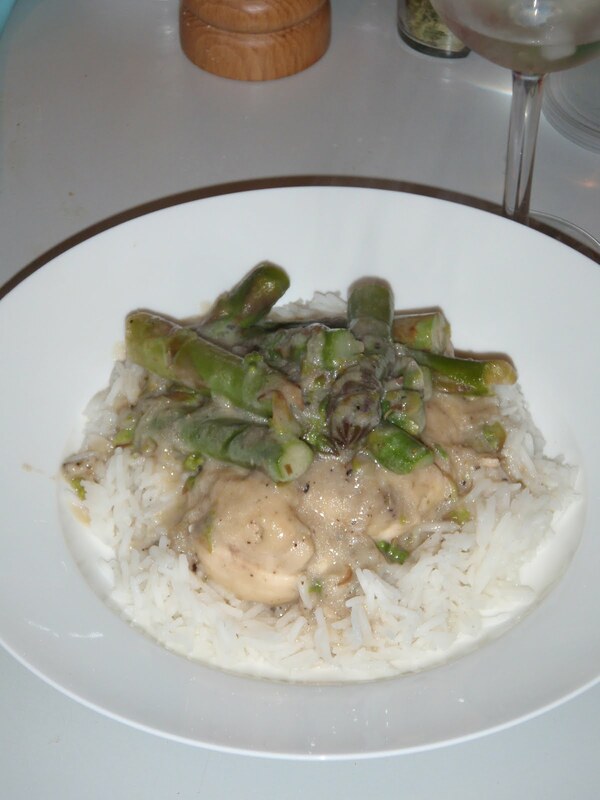 Today i decided to go a bit asparagus crazy and had it for lunch and supper. 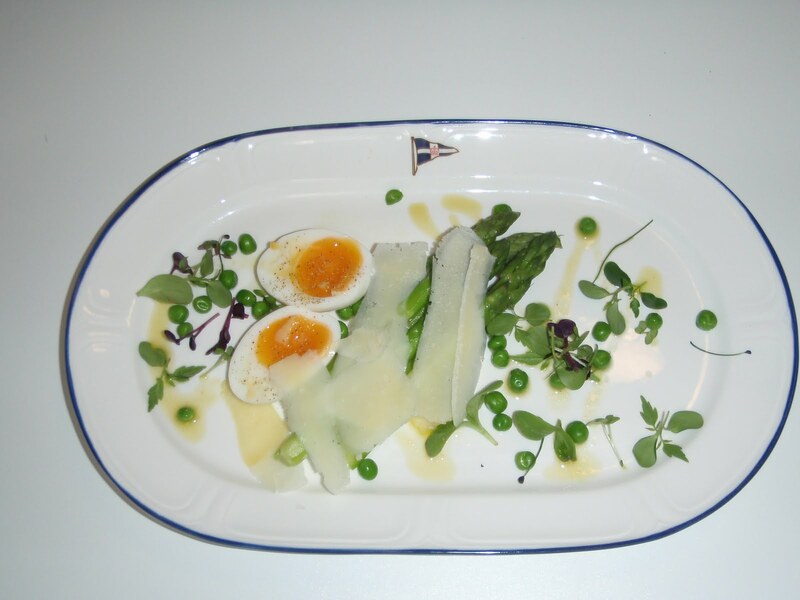 Lunch was a beautiful starter of 5 spears of asparagus with a soft boiled egg and some lovely bits of Parmesan…. I can’t provide a recipe for this because a) it’s pretty obvious from the picture below and b) because I ordered it off the menu at work! Doesn’t it look nice? So simple, yet just so yummy. Supper (when i finally left work) was asparagus too. I got this off the good food website and it was quite fun to make as it involved Flambe! little bit of chopped tarragon. Heat the oil in a large frying pan. 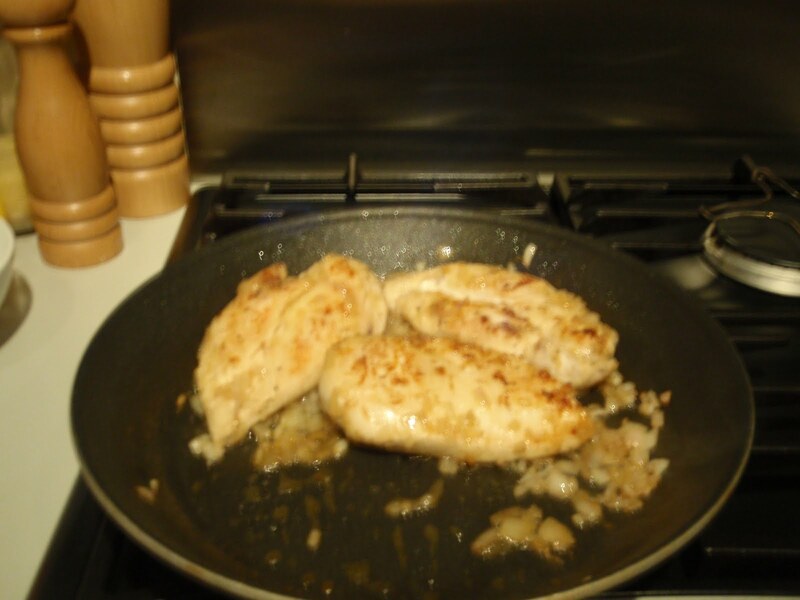 Coat the chicken in the flour and gently fry them until they are sealed all the way round. Add the shallots gently fry until they are see-through. Add the Brandy and CAREFULLY set alight. This is done, if you are cooking on a gas hob, by tilting the pan so that the fumes given off or any spitting coming from the pan hit the flame from the hob. It will light with quite some vigour but as long as you have your eyebrows out of the way you’ll be fine. At this point I moved my chicken into a casserole pot so i could make lots of sauce. Once the flames are out add the stock and gently boil for 10 minutes. Add the asparagus and turn the heat right down and put the lid on, I found it easier to just steam the asparagus rather than boil as i didn’t want them to take on too much of the chicken taste. Once the asparagus are tender add the creme fraiche and stir through the tarragon. I found that the sauce was too runny so i took some of the leftover flour and added a little water to make paste, put a couple of dollops into the sauce and it thickened beautifully. Oh, by the way – i served it with Basmati Rice. Ok, so not the most beautiful plate of food, but it was pretty tasty and not too fattening (if you don’t count the spoon or two of ice cream afterwards and the 2 glasses of white wine as a very appropriate accompaniment! One of these days i won’t finish typing this and thing how dull a read it must be! B is for, Oh too many things!